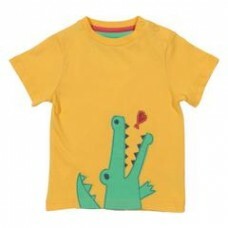 Bright Yellow summer t-shirt for boys with a applique crocodile on .. This fabulous splash coat is designed for as much splashing as you like! Made from a fully waterproo..
We have launced our very own clothing range. Here is a long sleeve navy boys applique t-shirt with a..
Converse 2 piece set, zip up jacket with kangaroo pockets, the main body is in navy with red sleeves..
Who doesn't want to be a superhero at some point in there lives? 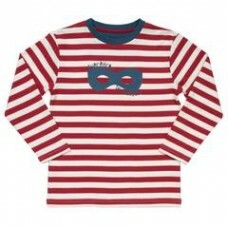 Here's a superhero in disguise t-sh..
Ben Sherman boys t-shirt with a quicky pocket - great summer t-shirt ..